Welcome to this week’s article of The Good, Bad, and What The? where we took a good, long look at characters in movies, video games, anime, and books and put them on the judgement table to see if they are worthy to be in their respective stories. I strongly believe well developed characters are more important than anything else in a good story, so I always judge them harshly. At the end of every character’s evaluation, I will give them one of four ratings: Good for those characters that are developed and deserve their place in the story, Bad for those characters that have no place being in the story, What The for the characters I just can’t figure out, and characters who are dull as dishwater and make you wonder what the author was thinking in creating them will get the rating of Sack of Potatoes (No, I’m not kidding. I’ll call them a sack of potatoes). Today on the judgement table we look at Klein, one of the side characters from the anime “Sword Art Online“. Now I’m sure a lot of you are thinking, “Why are you doing a side character for your article? They’re usually so boring!” Well, yes, you are right but I’m going to be honest; I didn’t like “Sword Art Online” at all, especially the character I really didn’t like, Kirito, but I thought Klein had a chance so I figured I’d take a look at him. For all five of you that haven’t watched “Sword Art Online“, I will give a quick summary of the story. 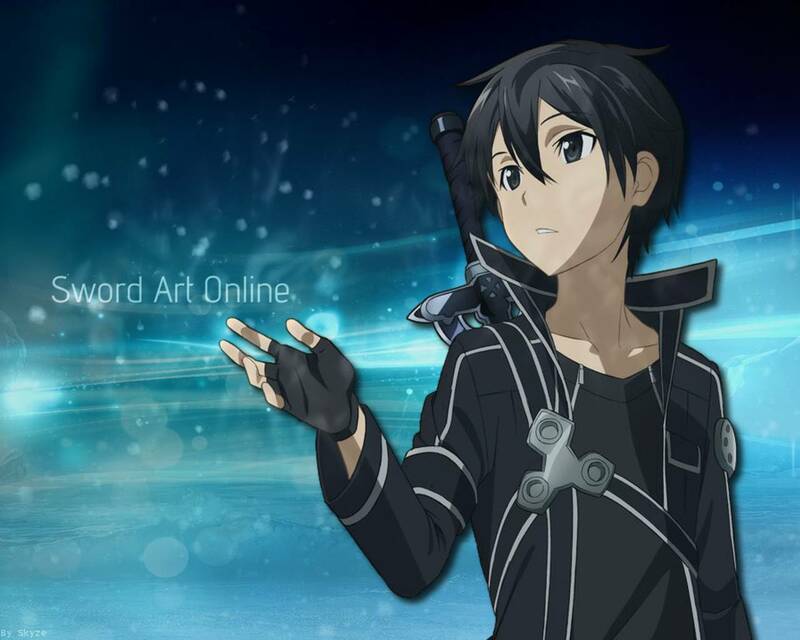 “Sword Art Online” centers around a high school student named Kirigaya Kazuto who loves playing MMOs. A game called “Sword Art Online” comes out. It is a virtual reality world where you put on a headset and your entire mind is now part of the game. The creator of the game decided he wanted to make a challenge in which no player could log out or remove the headset to leave the game, and if you died in the game you died in real life from the headset frying your brain. The only way out of the game is to reach floor one hundred, kill the final boss, and beat the game. When the show starts, Kirigaya logs into his character named Kirito. The first person Kirito meets is a young guy with the character name Klein. The two adventure together for the day and all is well. The second day they meet is when logging out is disabled and the trouble begins. Klein is the first character you meet after Kirito. You would think that means Klein is important and is going to help Kirito fight, and you’re right to a degree. The problem is after meeting Klein twice, Kirito then goes away on his own and the two hardly ever meet up. Klein really was a kind of character you could love, he was a nice guy, good at the game, and just generally cool which is why I really wanted to see him more. I thought Klein would be around all the time, as a sort of grounding agent whenever Kirito freaked out. I had hoped that Klein would come in and boost Kirito’s morale, but this doesn’t really happen. 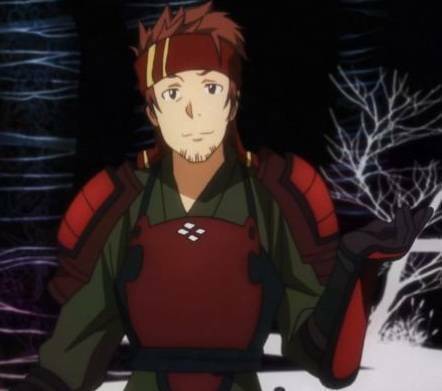 You see Klein on and off when Kirito is adventuring and then randomly you discover Klein started a guild and is doing really well, and you wonder how it all happened but the show never says. This is really lazy character development. A good example of Klein missing a chance to shine was around Christmas time. An event in the game occurs at Christmas where the players hear that if you can kill the snow king you can get an item to revive players. Kirito decides he wants to get this item to revive a friend who had died earlier in the show. He finds the snow king’s location, but before he fights him he see Klein. Klein tries to talk Kirito out of fighting this monster alone, but Kirito refuses and goes and kills it himself. On a side note, any fellow MMO players know you can’t kill a world boss on your own. It just doesn’t happen. But I digress. I was really mad at this part because it could have been an epic battle with Klein and Kirito fighting this beast as good friends and it would have been great, especially because the fights scenes in this anime were very good. Instead, Kirito kills the boss, gets the item and finds out it can only save someone ten seconds after death. He gives it to Klein and that’s it. This part of the story just stops. The item isn’t spoken of and Klein gets no chance to use it ever. Very lame. The whole anime does this over and over: Kirito see Klein and you think, “Maybe this is Klein’s chance to be awesome!” and then nothing happens. The closest Klein got to helping Kirito was when a huge raid group battled a massive skeleton boss near the end of season one. I really wanted Klein to grow as a character and be great, but it just didn’t happen. This is all we see of Klein, as he is taken out of the show in season two! The entire season two is about Kirito and his relationship with his sister. Season two was even worse than the first. Now, for my verdict on Klein. Klein gets the verdict of What The?, mostly because of one simple fact: he had the potential to be a great character but was thrown to the wayside. I think having great side characters can only make your main character that much greater but “Sword Art Online” doesn’t seem to agree with me. Characters like Klein happen in a lot of shows and I think it really it’s something writers of any kind should try to fix. Oh, and as one last kick in the teeth, Klein does show up at the very end of season two in the real world, but they only exchange one or two sentences! That ends this week’s article of The Good, the Bad, and the What The?. Fans of “Sword Art Online“, what did you think? Leave a comment below!